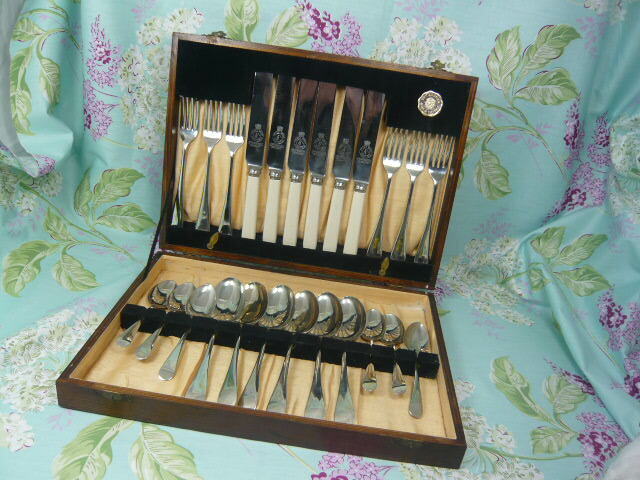 A lovely and original vintage boxed cutlery set with six settings each of knife, fork, teaspoon and dessert spoon..........I am personally a great fan of vintage cutlery and use it all the time it evokes such images of leisurely dining and is really sooooo much nicer to use than modern cutlery and made to last !! Nice to keep for sunday best or Christmas lunch ! !